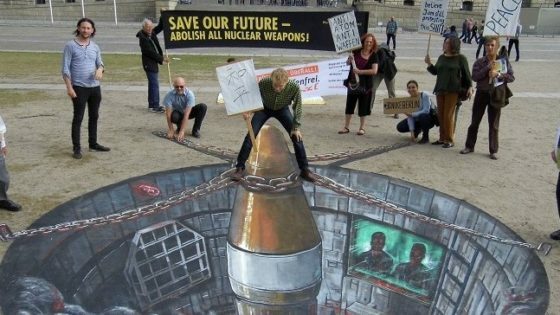 On April 26/27 last year, as diplomats gathered in New York for the Non-Proliferation Treaty Review Conference, nuclear abolition campaigners gathered at nuclear weapons bases and facilities around the world to ‘wave goodbye to nuclear weapons.’ But the nuclear weapons have not gone away. So this year, for Hiroshima and Nagasaki Days, campaigners will again be taking action outside nuclear weapons bases and facilities, as well as outside government offices responsible for nuclear weapons policies and other key locations. These are part of the chain reaction of nuclear disarmament events sweeping around the world. Groups of campaigners will fast together in key locations from Hiroshima Day August 6th until Nagasaki Day August 9th, to express opposition to nuclear weapons, and to call on public to join the global campaign for their elimination. Fasts will take place outside nuclear-weapons related facilities in France, Germany, Scotland, the United Kingdom and the United States. For more information see International Fast to abolish nuclear weapons or Vigilance Hiroshima-Nagasaki. Île Longue (Long Island), Brest: The base for the French ballistic missile submarines. Cherbourg, La Hague: A plutonium production centre and nuclear fuel reprocessing plant. CEA/Valduc, Dijon. A nuclear facility devoted to research, development, manufacture, maintenance and dismantling of nuclear weapons. Laser Mégajoule, Bordeaux: A large laser-based inertial confinement fusion (ICF) research device that has been connected to the testing of nuclear explosions, and devices. Le Tubé Air Base, Istres: A base for nuclear capable bombers that form the core of the French air-based tactical nuclear deterrent, the Dassault Mirage 2000N. Paris: The seat of the “red button” to launch the French nuclear weapons. 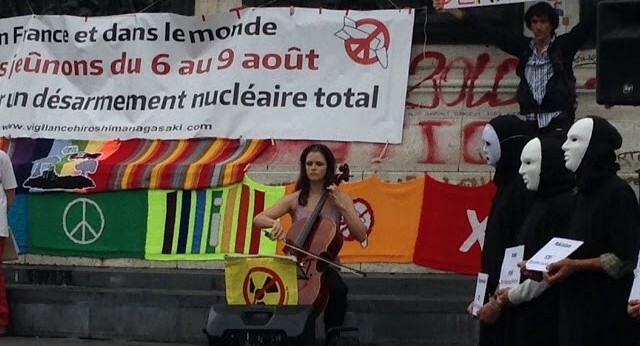 Actions in front of government locations where nuclear programs are decided. Büchel. Airbase that hosts nuclear capable squadrons and an undeclared number of nuclear weapons. The event 20 weeks against 20 nuclear bombs started in Büchel on the 26th of March and will conclude on the 9th of August. There will be a number of events from Aug 6-9 Büchel including the fast. PACE IN BICI 2016, 5 August to 9 August. Bike ride from Site Pluto in Longare (a former US nuclear weapons “secret” storage bunker under the hills just south of Vicenza), to Aviano USAF base, where there are still nuclear weapons. For a nuclear-weapon free world! 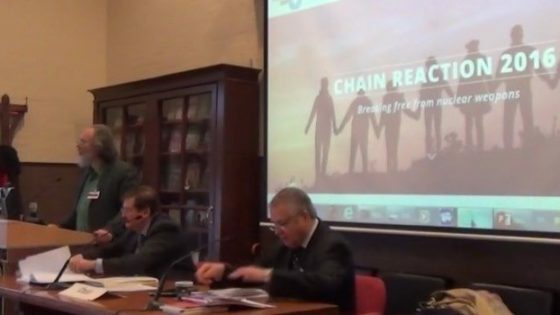 Organised by BEATI I COSTRUTTORI DI PACE and the Italian Disarmament Network. London, the seat of the ‘red button’ to launch UK nuclear weapons. Join London CND to remember the victims of atomic bombing and wars everywhere. The ceremony includes faith speakers, celebrities, performers, entertainers. Bring a picnic for a joint lunch afterwards! Bangor Base, Washington. Home of the Naval Base Kitsap. This is a post of ballistic missile and nuclear submarines. Here, on the 9th, a “peace flotilla” of kayaks and boats will sail in commemoration of Hiroshima and Nagasaki. US National Nuclear Weapons Plant, Kansas City. Produces key components of the US nuclear weapon arsenal. National Security Site, Nevada. Today it is still used for subcritical testing, and repair of the United States’ ageing nuclear arsenal. It is also home to storage of low level of radioactive waste. Click here for more information about the event. 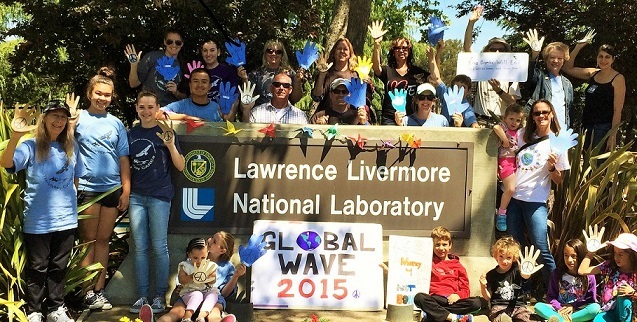 Lawrence Livermore, California. National Laboratory used for research, development and maintenance of nuclear weapons. Click here for more information about the event. Los Alamos National Laboratory, New Mexico. This laboratory was the location of the Manhattan project that built the first nuclear bomb. Today is it is used for research and design of nuclear weaponry. Oak Ridge National Laboratory, Tennessee. A manufacturing facility for nuclear weapons components. Click here for more information about the event. Davis–Monthan Air Force Base, Tuscan, Arizona. This base has in the past been home to several nuclear missiles including the Titan II. Washington D.C. Public witnesses for disarmament held at the White House and the Pentagon. For Hiroshima and Nagasaki events and actions in other locations around the world, visit Chain Reaction Events and Hiroshima and Nagasaki Day actions.